Canada has been struggling with an indoor air quality problem, and more people have begun to realize the importance of cleaning out your air ducts on a regular basis. 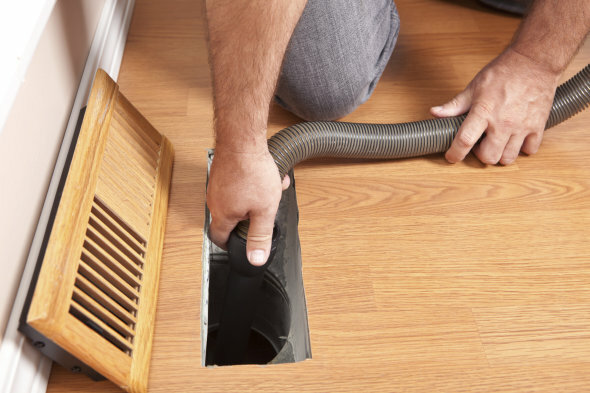 It’s common for people to forget about the air duct, however ducts are a massive trap that collects dead skin cells, animal/human hair, dander, dust mites, drywall, dead bugs, and many other items that may have been left over from the original construction of the household. This is where many of us say, ‘oh, but I have been vacuuming it regularly!’ However, industry leaders have said that vacuums are just not going to cut it. There are some professional air duct cleaners that have been sticking to vacuuming, leaving behind a wide range of contaminants that can cause illness and other problems. Instead, you need a combination of brushes, compressed air tools, and a vacuuming system to properly remove debris from the ducts. Those who live in the larger centre’s of Canada typically have their ducts cleaned by a company that specializes in this aspect of building cleansing. These businesses spend a large sum on the necessary cleaning equipment, and often rely on advertising to get their services out there to the general public. They may spend $70,000 on the vacuum truck, and another $10-18,000 on a complete duct cleaning package that can be carried around. According to DMcD Distribution Inc., the air duct cleaning business is continuously growing, and it may be able to help cut down on the poor indoor air qualities. In addition, they revealed that 80% of Canada-based buildings have neglected to inspect or clean their air conveyance systems. It makes the HVAC system less efficient, and severely harms the indoor air. Companies will choose their techniques and tools based on the type of building (residential or commercial), though the basics behind the cleansing still apply to either of the building types. The cleansing kicks off with a complete inspection. The company will need to ascertain the facilities and determine their best strategy. If the job is on a commercial building, the company will acquire blueprints of the building. All-in-all, the process is fairly simple and straight forward. The contractors use an air compressor, mechanical agitators, and the vacuum, which may be mounted to a truck or carried by hand. If the system is portable, it has three stages it progresses through to catch solid, rough material, followed by the smaller debris, and finally it collects dust particles. Most cleaning jobs don’t take very long. The HVAC system is shut off immediately. If in a home, air ducts are removed, cleaned and placed into a plastic bag for reinstallation. It forms a seal, and the contractors seal up the other air intakes as well. Working from the furthest branch, the handler uses a sweeping tool to agitate debris and send it flying. The air compressor is then used to clean away debris from the blower, coil and motor, and it’s completed.